While species declines and extinctions can occur due to one threat, it is the interactions of several operating threats that amplifies risk. Everyone's contribution is critical if we want to stand a chance at winning the battle against climate change and species extinction. It is now well recognised that we are losing species to extinction at a distressing speed, threatening the mosaic of biological diversity on our planet. Even conservative estimates suggest this rate of loss is teetering out of control. With such a pressing concern to protect species from extinction, the global community must turn its attention to the threats that are known, or predicted, to deliver the highest impacts on biodiversity. Aptly named, the Evil Quartet, outlines the operating drivers attributed to recent extinctions, which are habitat loss, species introductions, extinction cascades, and overexploitation. However, it is important to understand that drivers of biodiversity loss are dynamic. While species declines and extinctions can occur due to one driver, it is the interactions of several operating threats that amplifies risk. Cumulative human pressure, as represented by the human footprint index, has been shown to be an important predictor of species extinction risk, where land conversions that move away from natural landscapes were found to be associated with negative changes in the conservation status of species. In fact, land-use changes, from natural to anthropogenic, affects more than half of the threatened or near threatened species in the International Union for Conservation of Nature’s Red List. When looking at the most threatened species, overexploitation of natural resources to satiate the growing appetite of commercial, recreational and subsistence use is the most widespread driver of species decline, imperilling approximately 70% of listed species. While these on-going drivers have been the primary recognised drivers of extinction in recent years, researchers are finding that climate change may soon become a dominant (possibly the dominant) driver. 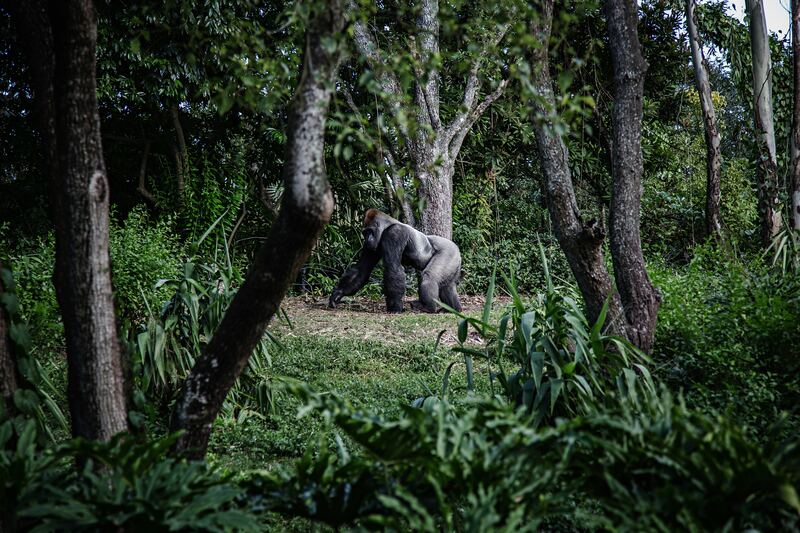 The Mountain Gorilla has improved in status from 'Critically Endangered' to 'Endangered', thanks to intensive transboundary conservation efforts and community engagement. While there are still a myriad of threats affecting this species, including climate change, there is room for hope. Photo by Mike Arney. There is ample evidence to support the impacts that climate change has already imposed on biodiversity in recent years. Recent work suggests climate change will lead to severe impacts on ecological communities within the next 50 years, which might surpass that of land-use change. This has important implications on how we aim to tackle and implement conservation strategies. As climate change modifies the way in which other threats to biodiversity operate, global conservation responses have started acknowledging these interactions. But more must be done. Intergovernmental agreements have countries aligning to meet global goals, which tackle both climate change and other drivers of species extinction risk. For example, the Paris climate agreement notes the “importance of ensuring the integrity of all ecosystems, including oceans, and the protection of biodiversity”. The principal goal of the Paris Agreement is to unite countries to collectively limit global temperature rise, mitigating warming to keep temperatures well below 2°C above pre-industrial levels. The European Union, for example, aims to contribute to that agreement by cutting at least 40% of its greenhouse gas emissions by 2030, and up to 80-95% by 2050. The UN Agenda for Sustainable Development also outlines goals to strengthen global action on climate change by 2030, through Goal 13. At the same time, Goals 14 and 15 outline specific targets to protect marine and terrestrial biodiversity. But national and international policy commitment is not enough. 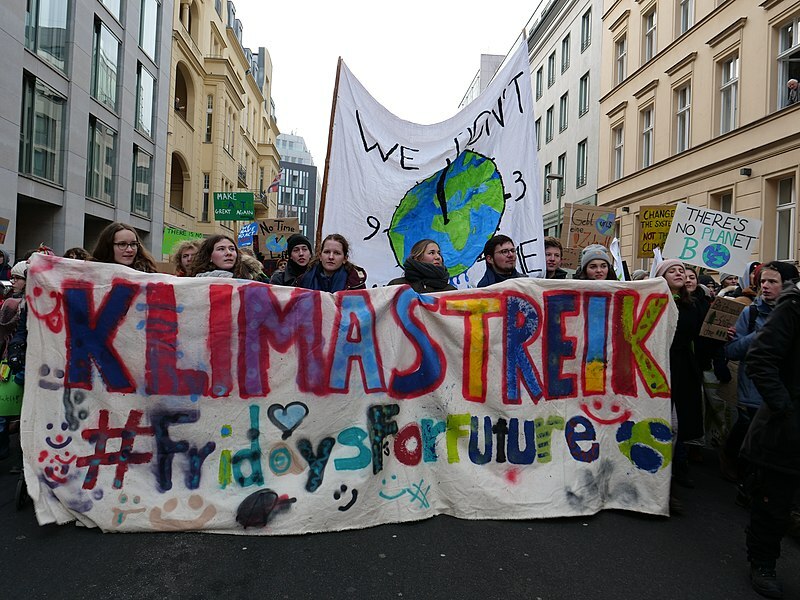 The climate strike movement #FridaysforFuture, spearheaded by Greta Thunberg, sparks global climate action such as the above demonstration pictured in Berlin, Germany. Photo by Leonard Lenz. As it is now clear that stopping biodiversity decline goes beyond the responsibility of individual governments, and international agreements, the civil society needs to actively participate in the call for strong climate mitigation. Empowered and finding their voice, citizens are standing their ground in support for more urgent climate action with movements such as #FridaysForFuture. Further examples of modest individual actions such as exercising consumer choice can make significant differences to accomplish the Sustainable Development Goals for biodiversity and climate. By selecting more sustainable and local food products, everyone can help tackle the cascading effects of habitat loss for agriculture and the amplified effects of agricultural greenhouse gas emissions on climate change. A recent study supports that adopting sustainable food and dietary modification is critical to deliver positive environmental change in the land-use system. There is even a quiz to help understand our diet’s carbon footprint. Every contribution is critical if we want to stand a chance at winning the battle against climate change and species extinction, here is what we can all do to help. Moreno is a conservation scientist, with a passion for addressing the challenges that global change poses to biodiversity. He is a Marie Skłodowska-Curie Research Fellow at Sapienza University of Rome (Italy), and a Research Scientist [currently on academic leave] at CSIRO Land & Water (Australia). He is also a Honorary Senior Research Fellow at The University of Queensland (Australia).